The Bigfoot Trail is being proposed as a National Recreation Trail! 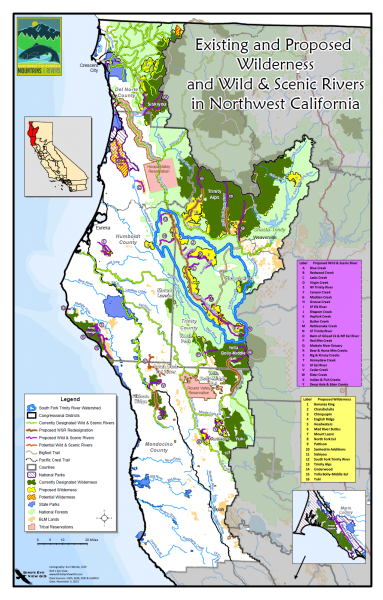 The Mountains and Rivers proposal will benefit northern California’s landscapes, watersheds and communities. We will ask Congressman Jared Huffman to champion this plan with legislation in Congress. Congressman Huffman has expressed his interest in moving this proposal forward and we are asking supporters to send him letters of encouragement to keep the momentum going. CLICK HERE to learn more about how to write a letter of support!